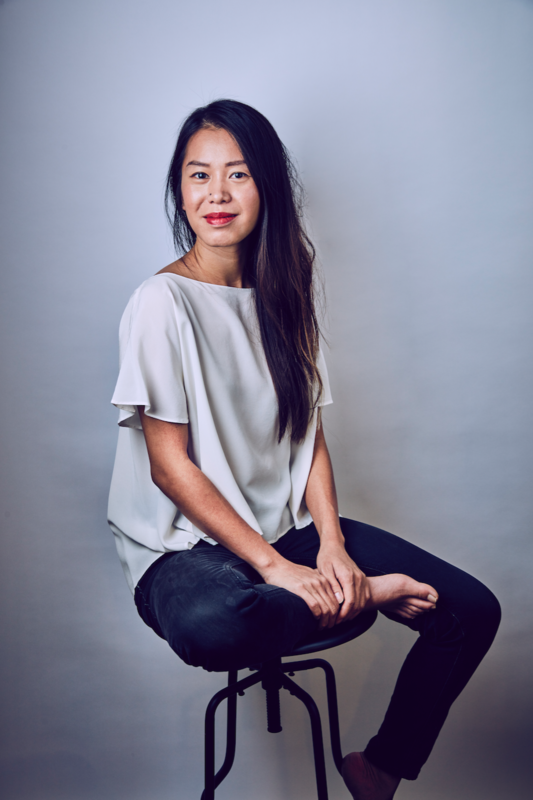 My name is Van Hoang and I am the designer/owner of my namesake label which is focused on sustainable womenswear. I currently live in Nashville with my boyfriend and two dogs, Spencer and Rooster. They are the loves of my life. We like to go hiking together and the pups like to run errands with me. They love car rides and sticking their heads out the window, it's super adorable. I also love plants and am trying to learn how to keep them alive, it's seriously a struggle for me. This year my focus is on health and mindfulness so I have started taking yoga. It's been great so far, I'm late to the game but now I finally understand why people love it so much! Van Hoang is a sustainable womenswear line that is designed to be modern yet timeless and easily incorporated into a woman's wardrobe. They are pieces that can be dressed up or down and versatile enough to wear to work and then out for drinks afterwards. The pieces are relevant to today but not trend driven. I want them to be pieces that will stand the test of time with a focus on quality, sustainability, and community. Fashion design is something I've always done on the side, but I didn't have a clear focus on my purpose so I went back to school to study Design for Sustainability at SCAD. Afterwards I took some time to figure out how I wanted to incorporate sustainability into what I'm passionate about which is fashion. It took me a while, but April 2018 was when I officially launched. We want to change the way people perceive sustainable fashion. That the two are not mutually exclusive and it can be just as stylish and beautiful as something high end. Most sustainable brands tend to be more casual, but I wanted my line to be pieces that can transition from day to night. The silhouettes are a little more fitted yet still have great movement, and there are more design details. Not to say that one is better than the other, just that I felt there was a hole in the market for something more high end for sustainable clothing. We don't follow the fashion calendar of when to release collections. Rather, we design and release new designs when it feels right and necessary. We make everything to order. This means we can better control our inventory and maintain high quality standards by making everything in house rather than outsourcing it. This also reduces unnecessary waste. We only make what is ordered instead of overestimating quantity and having excess inventory. Versatility is also important to us so that you can wear our pieces year round, whether it is on it's own or layered. We don't want you to worry about it going out of season or style. Another factor that we keep in mind is that our clothing is meant to last, not thrown out next year. So, we strive to make our designs timeless and high quality. And lastly, because we feel there is a disconnection between the consumer and the process in the current system, we want to bring you into the process. We want you to know who is making your clothing, how it is being made and where it is coming from. In this pursuit we will always be as transparent with you about it as possible. We also have future goals of creating a take back system to reduce the amount of clothing that goes into a landfill. With the clothes taken back, we will remake, upcycle, or recycle into new material. The ultimate goal is to create a closed loop system so that what used to be viewed as waste becomes the source material for new products. We have a long way to go, but we're in it for the long haul. It's hard to say which is my favorite I love them all. But, the ones I wear the most are the Empyrean Pant and the Arcadia Top. The top I can throw on with anything and I love the pants for how much movement they have. And, they don't make me feel bad if I've eaten too many tacos.